INTRODUCING WE R MEMORY KEEPERS - WOO ! | jeni a. INTRODUCING WE R MEMORY KEEPERS - WOO ! 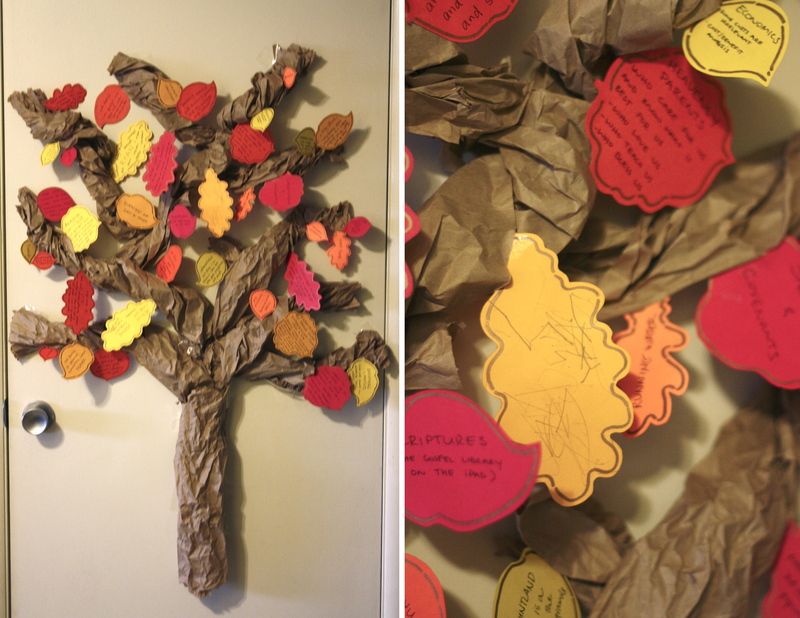 November's Project 1: a Thankful Tree (finally! ), via brown paper stuffing that came in the package, leaves from our steps, cardstock, and some Sticky Thumb. For Family Night, we wrote our thanks on the leaves and stuck them on the tree one-by-one. Note Olivia's leaf - the big yellow one - and her "thanks" for cheese, friends, and blueberries. What a blast! Being grateful makes you happy, hence the love the world has for the holiday season (me included). The simple little gifts - a note from me, a blank note card for them to write a "thanks" to someone else, and more paper to do whatever with. That was that. Easy! Confession: nothing is better than creating and sharing with others. You can catch this bug to be creative, to cultivate beauty in your life, to share it, and heavens I've caught it (ie, this blog)! So be prepared for more projects to come. And send ideas and tips my way, will you?? I'd love it. This collaboration couldn't be better. Thank you so, We R!